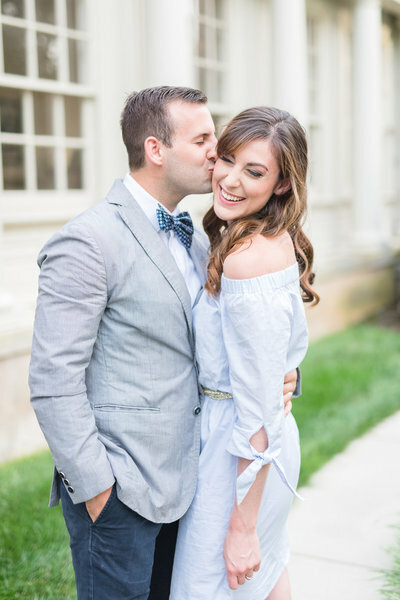 Last Saturday gave us all the joyful Christmas feels when Josh + Rachel said I do at the Bolling Haxal House right here in Richmond, Virginia. Celebrating the start of their marriage around Christmas-time brought in double the joy! We love everything about Josh + Rachel. 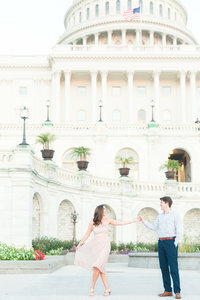 We love that Josh planned Rachel’s Proposal and recruited us to capture it! 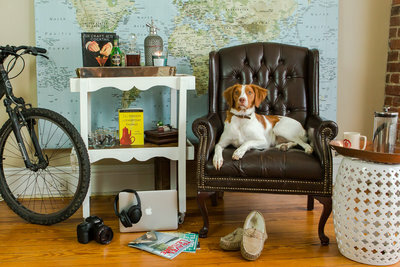 We love that for their Engagement Session they brought their dogs named Chopstick and Wasabi! Hahah!! Plus they had so many pictures of both sessions literally ALL around BHH in all the rooms! We love that all day people came up to us and told us stories about what truly wonderful and caring people Josh + Rachel both are. Larry who has been the coordinator at BHH for many years told me that Rachel came by on this day one year ago to tour the venue. Larry had mentioned that it was his birthday the following week on that day. Fast forward to Rachel’s Wedding Day and the first thing she said to Larry when she walked in was “HEY Larry! I know your birthday is next week, Happy Birthday! !” It really blew him away that she even remembered or said anything! I told him that painted such a great picture of who this couple is – so selfless and loving! Photographing couples with big hearts for others AND for each other has been such a blessing! Rachel and her girls got ready upstairs in Bolling Haxal House, while Josh and his guys got ready at Linden Row Inn. The two are about a block away from each other which made for super easy logistics!! Rachel’s Wedding dress was stunning on her!! It was actually two pieces!! The bottom layer was a perfectly tailored Satin silhouette and the top layer was a delicate lace. She could have totally rocked just the Satin layer alone, but paired with the lace and her fur shawl, I totally saw her bridal vision and it was perfect! Josh’s thing is fun socks and we are all about it! All the guys had matching red and white polka dot socks! Josh’s mom told me that these two met on a couch! It was Halloween a few years ago and Josh had already taken off his costume when he spotted a cute little mouse with blonde hair and blue eyes sitting on the couch. Josh walked right up and introduced himself! They were inseparable! Sam and I met them not long afterwards through some mutual friends, and even though it was super early in their relationship, we left that night saying Man, I hope they get married – they’re so perfect together! They are just as sweet as can be and it is a total bonus that they’re both hilarious and easy-going!! These two are gorgeous inside and out!! It was a beautiful ceremony! Josh + Rachel each shared personal vows! You could feel how happy and excited they were to finally be at this moment!! Jenny Keen with Greenery + Grace is honestly the best! 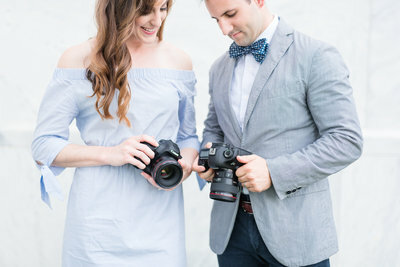 Whenever we see that one of our couples book with G+G (or any planner outside of a venue coordinator) Sam and I have a big sigh of relief! The weight is off of our shoulders to “run” the timeline and we can do our jobs SO much better!! 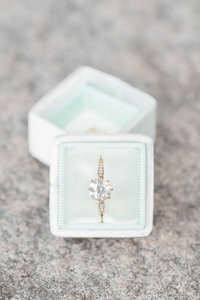 We’ve worked a handful of Weddings now with Jenny and every one of those Weddings was a huge success! Every couple who has used her says she has been such a lifesaver, which is why we recommend her to everyone!! The newlyweds treated their guests to a Hot Chocolate Bar where they could then walk it over to the Open Bar where the bartenders would top it off with Peppermint Schnapps, Whipped Cream Vodka or Bourbon! Josh completely surprised Rachel with a super hilarious and well-choreographed dance with his Mom!! LOVE this shot of Josh!!! He has joked with us that he once used his super long legs to impress Rachel by carrying her through the snow when it was really deep!! The dance floor was filled all night thanks to Black Tie Entertainment DJs!! The Newlyweds exited to the sound of bells ringing and cheers from their loved ones!! The perfect end to the perfect day!! We love you both so much! This day was AMAZING and the most cheerful start to your marriage!! Now every year you will look forward to December even more and we hope you celebrate all month long! You two have so much fun together no matter what you’re doing. We’ve literally had the most dramatic weather every session we’ve ever done together whether that be hot and humid, 23mph winds, or freezing cold – you guys never stopped having fun or smiling!! We can’t stop smiling just thinking about you guys and how your marriage is going to inspire others that true love is out there…sometimes sitting on a couch in a mouse costume. 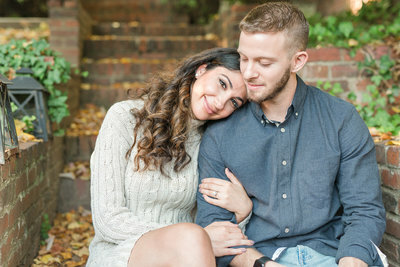 Marriage is going to pull you two even closer together and we can’t wait to see the McKeons make Richmond a little brighter!! We adore you both and wish you the BEST HONEYMOON! !